Dushanbe (TajikTA) — 70% of the shares of Tajikixodirotbank, one of Tajikistan’s largest banks, may be ceded to a Chinese investor. “At the moment, the Chinese side is studying investment issues. Previously, we talked about investing $200,000 and acquiring about 70% of the bank’s shares. A preliminary agreement has been signed between Tajik Bank and the Dzhunan Railway Corporation”, Tajikxodirotbank announced. Yet, it had previously been reported that the total amount of capital of Tajikxodirotbank exceeded $300 mln. The bank also points out that negotiations to attract investment are also underway with Arab, Russian and Kazakh partners. Tajikxodirotbank started looking for investors after receiving state financial assistance of 2.25 bln somoni early last year. Financial assistance was provided for a period of five years at a rate of 2%. One of the conditions for State support was to attract investment. In May this year, Saudi Investment Group announced its intention to acquire up to 51% of the shares of Tajikxodirotbank. A preliminary agreement was even signed, but the case was not pursued further. 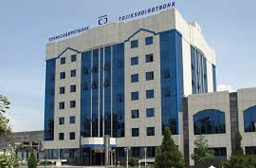 The bank then noted that “after the launch of its financial restructuring programme, this is the first agreement with foreign partners on Tadzhiksodirotbank’s investment” at such a high level and volume that should serve as a determining factor for the rapid stabilisation of its financial situation. The Bank has also committed to return 5% of the funds allocated to the Ministry of Finance of Tajikistan until the end of 2017. This figure will be 20% for the current year and 25% for the following years.